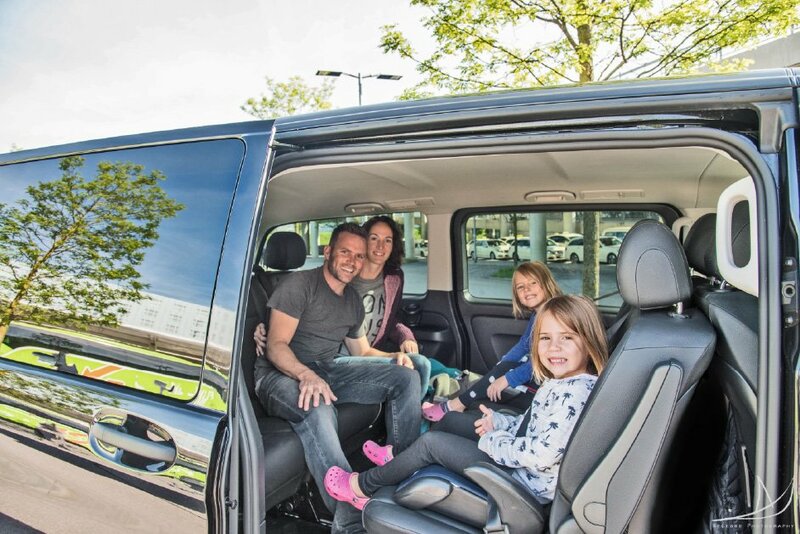 We at Limos4 are delighted to be able to cater to traveling families, throughout Europe and beyond, providing all necessary car seats, luggage trailers, and other types of equipment. As a completely customer-oriented company, we want to make sure the entire family can travel together and enjoy our ser-vice. Our drivers will gladly install the proper car seats, either ours or yours. There are different kinds of child seats, depending on the age of the child: rear-facing infant seats, forward-facing toddler seats and booster seats. Whether you need a car seat or a luggage trailer, just inform us about it in advance and we will provide it for you. We are committed to providing only safe and comfortable transportation to all of our passengers, complying with all the reg-ulations and procedures. No need to put off your plans for the luggage volume or child safety reasons, because we have you covered, in more than 60 cities!